The Nationwide Building Society is the world’s largest building society, with about 15 million members. This British financial institution dates back to the mid-1800s and is one of the top companies for customer satisfaction. If you are a Nationwide customer, then you can manage your money online or in one of around 700 branches across the UK. Nationwide offers a range of current accounts and credit cards. Here is what to do if your card is lost or stolen. If you lose your bank card, the first thing to do is report this to Nationwide. They can cancel your card as quickly as possible to protect you against financial fraud if it was stolen. Once they have done this, they will also send you a replacement card with a different card number. This can take between 5 and 10 working days to arrive in the post. You will not receive a new PIN unless you request one, in which case it will arrive separately to your new card. You can report a lost or stolen debit or credit card to Nationwide through the app or digital banking. Simply log in, select “Lost or Stolen Cards” from the menu in your account, then select “Report as lost or stolen” under the relevant card from the list. You should then select either “I’ve lost it” or “It’s been stolen” to proceed. You should then confirm the correct address for Nationwide to send a replacement card to and submit the request. When you exit back into the app, the updated card will show a red notification beneath it saying that you will no longer be able to use that card. Another way to report a lost or stolen card to Nationwide is to call them on 0843 557 2613. Press 1 to cancel a lost or stolen Nationwide card. You will have to enter your 16-digit card number to confirm your account. When you get through to a Nationwide representative on the phone, explain your situation and request to cancel your card and get a new one to replace it. If you have only lost your card, and you think that you might find it again, then you can ask them to put restrictions on it rather than cancelling it altogether. For example, if you know that it is likely to be at home somewhere, then ask them if they can temporarily block online transactions or ATM withdrawals for your peace of mind. You can then call to lift these restrictions when you find the card. Or if you don’t, then you can call again to actually cancel the card and get a replacement after all. Request cancellation right away if it was stolen. Nationwide does not have a specific Emergency Cash service for customers who have lost their cards. It is actually NatWest who offer GetCash for emergency cash withdrawals. So, unfortunately, this feature is not available in the Nationwide app or online banking. 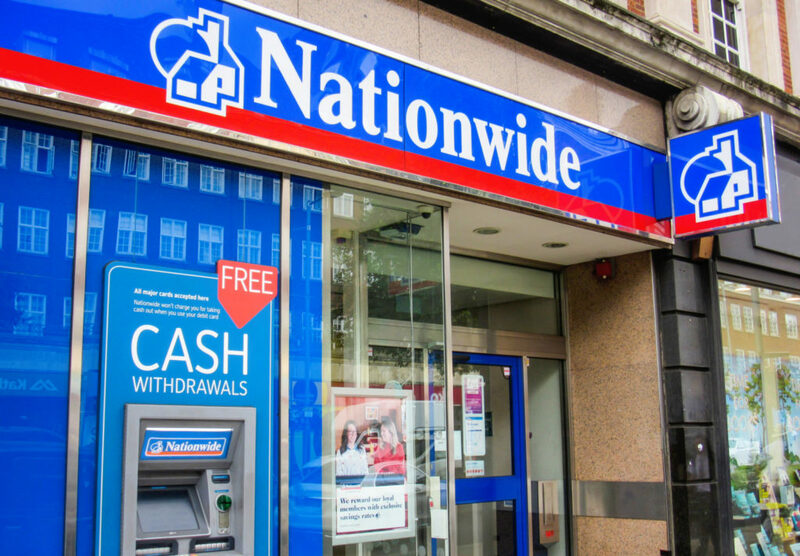 Nationwide customers can either wait to receive their new card before banking, or go into a branch to request cash over the counter if they need money before then. They should allow you to take out cash without your card as long as you can prove your identity. Some branches may only require photographic ID such as a driving licence, while some might require extra proof like a utility bill confirming your name and address. You should be able to withdraw from £10 up to £500, but the maximum amount may be at that branch’s discretion. Locate your nearest Nationwide branch here. Your ability to withdraw money will be limited by their opening hours. Maybe your card itself is not lost or stolen, but your Nationwide card reader is missing. You can still access the app and your online banking account and make some transactions without it. However, if you want to make a payment to someone new or change your details then you will need a card reader for security reasons. All card readers from banks and building societies should be secure and allow you to use your card in them securely. If you do not have another card reader, then you can order a new card reader online. Nationwide will send it to you in the post in about 5 days. You may also be able to get a card reader to take away if you call in at a Nationwide branch and ask for one.